In the early 1990s, scientist, writer, and world-renowned mindfulness expert Jon Kabat-Zinn encountered Cherry Hamrick, a teacher in the small town of South Jordan, Utah, who wanted to bring mindfulness—the act of paying attention on purpose in the present moment—into her elementary school. Worried about how a largely Mormon community might react to such practices, Kabat-Zinn told the young teacher not to do it. Hamrick taught mindfulness through techniques such as ringing a bell and having the students slowly raise their hands when they could no longer hear the sound of it; having them carefully eat a small portion of a candy bar and notice the way sugar sparked their taste buds; and setting aside time for “mindful walking,” in which they strolled around the school yard in silence and simply noticed each step. Gaining self-awareness through these types of exercises, Kabat-Zinn pointed out, is crucial to managing stress and finding success both inside and outside the classroom in a world where children are constantly bombarded with technological stimuli such as texts, e-mail, and Facebook. With stress in children in the United States at high levels, incorporating mindfulness into school curriculums is imperative, he asserted, adding that students can tap into “their profound capacity” for awareness if they are taught to do so. 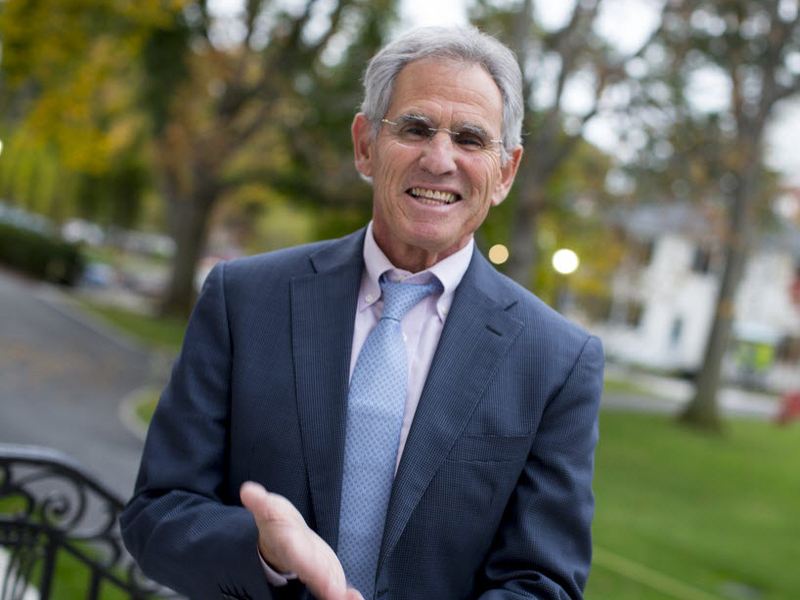 HGSE’s Askwith Forums are “a series of public lectures highlighting leaders in a field to share new knowledge, generate spirited conversation, and offer insights into the highest priority challenges facing education.” Kabat-Zinn, who began teaching Mindfulness Based Stress Reduction (MBSR) in 1979 and has written 10 books, including the popular Wherever You Go, There You Are: Mindfulness Meditation in Everyday Life, was introduced by Metta McGarvey, Ed.D. ’10, whose doctoral dissertation research project The Mindful Leadership Study was inspired by his work.